FXCM is a US broker with a British subsidiary that is based in London. The underlying assets include approximately 40 currency pairs and 20 CFDs. For FX trading, an STP market model is used without mark-ups and with a very large liquidity pool. The commissions are relatively cheap. Customers can choose between multiple platforms, including MT4 and NinjaTrader. Several options are also available for automated trading. Opening an account is possible starting at a €2,000 minimum deposit. FX trading via FXCM is based on an STP market model. The actual spreads of the liquidity pool apply to any trade. In case of these kinds of market models, the broker generates its profit margin exclusively via commissions. Traders, who are giving an STP broker such as FXCM a try for the first time, are reminded that STP is also possible with mark-ups on the spreads. However, commission models are preferable in terms of the transparency and the neutrality that they offer. The commissions are two-tiered and are graded exclusively according to the traded currency pair. Category I currency pairs can be traded for €6 (round turn) per standard lot. This category includes the FX pairs EUR/USD, GBP/USD, USD/JPY, USD/CHF, AUD/USD, EUR/JPY, and GBP/JPY. For all other currency pairs, a commission of €8 per standard lot is applicable. In addition to the commissions, the spreads of the bank pool are also due. These are variable and are listed at 0.50 pips for EUR/USD and USD/JPY trades by the broker, for example. The spreads for STP marketplaces also depend on the respective market liquidity and the general market situation. A spread of 0.50 pips in EUR/USD is equivalent to €10 per standard lot. Customers can trade 40 FX currency pairs and 20 CFDs via the “Standard” account. The catalogue of underlying assets is thus smaller than that of many competitors, which is a downside in our FXCM review depending on the strategy pursued. In addition to the most important FX pairs, 13 indices, gold, silver, copper, oil, gas, and bonds can be traded as CFDs. 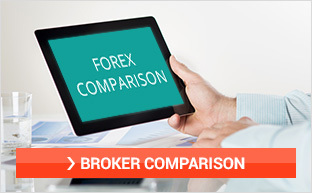 Compared to FX trading, different market and compensation models are used when trading CFDs. CFDs are traded free of any commissions. 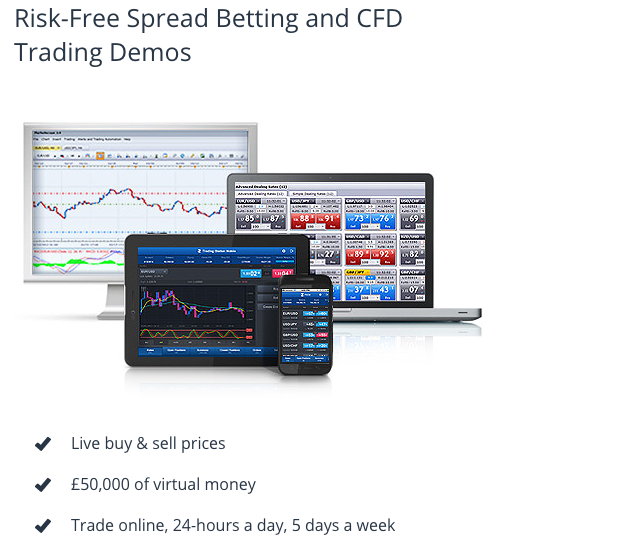 However, FXCM expands the market spread by a broker spread. This is taxed at 1 to 2 points in the DAX-CFD, for example. The contract sizes are quite small for many CFDs, which is a plus for traders with small and medium accounts. For the DAX30, a point value of €0.10 applies instead of €25 for FDAX of Eurex, for example. The broker’s transparency regarding the composition of the liquidity pool is a major pro in the FXCM review. Many competitors do not publically share this information – since they know that a pool with very few banks and/ or an insufficiently competitive structure largely neutralizes the advantages of STP compared to a market making approach. The broker openly communicates which banks have been brought on-board as liquidity providers: Bank of America, Barclays, BNP Paribas, Nomura, Citadel, Citi, UBS, Morgan Stanley, Effex Capital, Goldman Sachs, RBS, RBC, Credit Suisse, Commerzbank, Deutsche Bank, and Societe Generale. Which order types are available depends on the respective trading platform. In our FXCM review, we have focused on the broker’s in-house platform, which is called Trading Station. You can choose between simple market orders (execution at the next rate), close orders (immediate closure of all open positions with one click), stop buy, stop sell, stop buy limit, stop sell limit, OCO, stop loss, and trailing stop. Stops and limits can be placed both at a concrete market rate level as well as at a distance measured in pips. Trading directly from the chart is just as possible as one-click trading. An order ticket from the broker's platform is shown below. The catalogue of available order types is a frequently underestimated feature when comparing brokers. Many trading signals can only be implemented with sufficient precision via certain order types. This applies, for example, to signals resulting from chart-driven outbreaks: These can be traded via a stop-limit order, which ensures a timely entry into the market and the exclusion of high entry rates. Trading at FXCM is possible via three platforms, which focus on independent trading: In addition to MT4 and the in-house platform Trading Station, NinjaTrader is available. The decision for a certain platform has to be made when opening an account with this broker. The features of MT4 in the area of ​​charting and analysis are offered by other brokers as well: Apart from almost all current indicators, drawing tools are also part of the repertoire. NinjaTrader offers a market analyser (a kind of real-time price chart) and market replay (a video recording of the market developments) among others. The fact that all three platforms can also be tested as part of a demo account is a big plus in our FXCM review – especially for beginners and experimenters. Demo accounts can be opened without personal contact to the customer service team and are equipped with $50,000 of virtual capital. FXCM has a German branch office in Berlin. The jurisdiction of Bafin is hardly relevant for trading. Instead, the UK FCA, which oversees the operations of FXCM UK Limited, is the regulatory agency that is in charge. As the London financial centre is one of the largest in the world and provides a physical advantage (through the location of the company’s servers), the British subsidiary's headquarters are a plus in our FXCM review. Deposits (by transfer) are made in favour of Bank of America and Barclays accounts. The customer deposits are held there in segregated individual accounts, as is required by the EU Financial Market Directive MiFID. In addition, the provisions for liability claims of the UK Deposit Guarantee Fund FSCS apply. Since the “Francs Shock” of January 2015, it is true that not only beginners, who are giving an FX broker such as FXCM a try for the first time and are not yet completely familiar with the associated trading procedures, should take a look at the margin call policy of their broker. If there are market rate gaps or other extreme market movements, a stop loss alone will not ensure the timely settlement of positions: In the worst case, the losses will amount to a multiple of the original account balance. FXCM’s contractual conditions of do not provide for a complete, legally binding exclusion of any and all margin call obligations whatsoever. However, the broker refrains from claims in case of negative account balances. This exclusion is limited to the first €50,000, however. FXCM provides several options for automated trading. Via the trading platform, customers also choose the available options in this regard. You can choose from MT4, NinjaTrader, MirrorTrader, and United Signals (as a social trading platform). In addition, you can import trade signals via an API and use a (fee-based) programming service. The features of MT4 are well known because of the widespread use of this platform: Users can program their own indicators and trading systems based on the programming language MQL4 and perform back testing. It is also possible to easily import scripts. NinjaTrader features a Strategy Builder that can be used to develop strategies without possessing any programming skills. The basis for this is an “if / then” procedure. For example, the Condition Builder can specify that an action is to be taken if the closing price of a particular market exceeds the 20-period EMA. If desired, the action can consist of optical or acoustic information or the opening of a long or short position, which can also be equipped with stop loss, etc. Moreover, programmers can develop strategies using the C#-based programming language NinjaScript. By contrast, MirrorTrader and United Signals are social trading solutions. Therein, the strategies of other traders are automated and adapted to the size and risk of one’s own trading account. Interested customers can give FXCM a try by making a minimum deposit of no more than €50: This is required for the broker’s “Mini” accounts. Via a market maker model, a total of 38 underlying assets can be traded without commissions. The Trading Station and MetaTrader4 trading platforms are available. For a full-fledged “Standard” trading account, a minimum deposit of €2,000 is required. In this case, trading is done via STP market model with commissions. 60 underlying assets are tradable. In addition to Trading Station and MT4, NinjaTrader, United Signals, and MirrorTrader can also be chosen as the desired trading platform. Starting from a monthly trading volume of €50 million, the “Active Trader” account can be chosen. In addition to lower trading costs, account holders are offered various additional services, including free VPS, a programming service, and a FIX API connection. To anyone that has chosen this account type, the programming service is offered at a 2% discount. 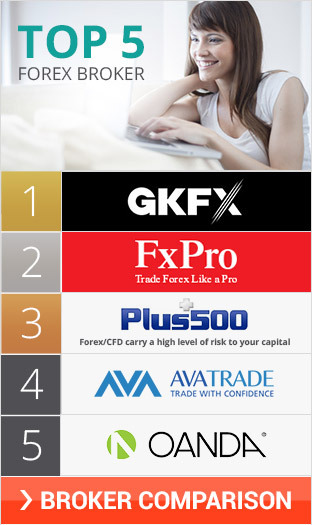 All traders that have chosen the standard account receive a credit of €100. The brokers' own market position is an important part of our overall assessment: Only brokers with access to a certain “critical mass” can provide their customers with access to the world's most liquid trading venues, low trading costs, and generate revenues themselves. From this perspective, a glance at the broker's annual report can be interpreted as a plus in our FXCM review: In January 2016, 172,000 active retail accounts were held. In the same month, the broker’s private customers generated a retail volume of $331 billion. A further $36 billion were realized through institutional clients. In the first quarter of 2013, an adjusted EBITDA of approximately $10.3 million was reported. FXCM is essentially a US company that is listed on the NYSE. The broker has subsidiaries and branches worldwide. One of the branch offices is located in Berlin, for example: This location offers sales and customer support. However, all trading (and thus the decisive part of the regulatory environment) is attributable to the British subsidiary, whose offices are located in London. The offer in the field of knowledge transfer includes webinars, seminars in Berlin, and various online trainings. While the latter primarily deal with how to use the trading platforms, the webinars focus on topics from various areas of active trading and technical analysis in particular. The (free) seminars in Berlin mainly focus on a general introduction to FX and CFD trading. As with all face-to-face seminars, all participants should also expect the promotional and marketing elements of any FXCM event. Many brokers maintain customer referral programs, via which existing customers can convince their friends and acquaintances to open an account with this broker and receive a premium in return. FXCM's customer referral program also follows this pattern. In order to participate in the program as a referrer, numerous conditions with regard to the duration of the account and the commercial turnover must be fulfilled. If third parties – such as by way of an authentic FXCM review – are successfully convinced of opening an account, the referrer receives a credit of up to $200. The new customer receives the same credit. In principle, classic new customer offers with bonuses for the first deposit are part of the repertoire of the broker’s marketing department. However, they are not always available and they are not offered for all account types. Nevertheless, this is only a con for die-hard “bargain hunters” – bonuses are either hardly relevant or linked to such harsh conditions that the investment is quickly amortized from the broker's point of view. The broker's customer service is available via e-mail, live chat, and via phone. There is a telephone number for general customer support as well as a phone number for placing orders by phone. The broker recommends calling the special trading hotline in case of a broken Internet connection, for example. Customers make a call to one of the agents in New York. The broker has sketched the typical steps of placing a telephone order as a call log. The call log is shown below. The regular customer support is available via a Berlin phone number. Moreover, the customer service team can be contacted via the live chat and by e-mail. For this review, a request was sent to the broker by e-mail, which was answered correctly within 90 minutes. The website has its pros and cons. Big pro: There is a lot of detailed information about trading in general and about transactions on the FX trading platform in particular. Con: The menu navigation could be clearer and it would be useful if identifying where the desired information can be found was easier. The broker’s market model, trade conditions, regulatory environment, trading platform(s), and training offering are convincing, wherefore FXCM is one of the best in the industry. Only the catalogue of underlying assets is in need of expansion. Apart from that, the offers in the field of training and customer service are a huge success. The minimum deposit of €2,000 (smaller accounts are not available for STP Trading) should be sufficient for the majority of the target group. Anyone looking for FX trading without a conflict of interests and with an Anglo-Saxon broker that offers a professional trading platform should be sure to give FXCM a try.